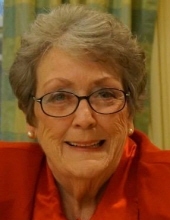 Janie L. Spinks, 81 of Herrin passed away 6:36 a.m. Saturday, March 16, 2019 at Integrity Healthcare of Marion under the loving and tender care of Hospice. Janie was a retired Licensed Practical Nurse having last worked for Shawnee Christian Nursing Center in Herrin and had formerly worked for Olin Industries. Janie was born October 6, 1937 in Herrin, IL to Jessie O. and Lelia E. (Long) Bailey. Janie was united in marriage with Billie Gene Spinks on June 2, 1956 in Herrin, IL. He preceded her in death on February 13, 2014. Surviving are two sons and a daughter-in-law, Michael and Gloria Spinks of Marion, Mark E. Spinks of Herrin; two grandchildren, Ashley (Brandon) Watson of Herrin, Andrew Spinks of Herrin; four great-grandchildren; sister and brother-in-law, Cheryol and Rudy Rodriguez of Herrin and several nieces and nephews. She was preceded in death by her husband, sister, Lillian I. “Izzy” Pershbacher and a brother, Clyde E. Bailey, Sr.
Memorial services will be 1:00 p.m. Wednesday, March 20, 2019 at Meredith Waddell Funeral Home in Herrin with Brother Adam Mach officiating. Visitation will be 11:00 a.m. Wednesday, March 20, 2019 at the funeral home. Interment will be in Herrin City Cemetery in Herrin. Memorial donations are suggested and may be made to Hospice of Southern Illinois, 204 Halfway Road, Marion, IL 62959; envelopes will be available at the funeral home. To send flowers or a remembrance gift to the family of Janie L Spinks, please visit our Tribute Store. "Email Address" would like to share the life celebration of Janie L Spinks. Click on the "link" to go to share a favorite memory or leave a condolence message for the family.